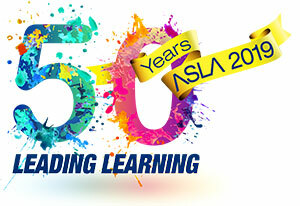 The Australian School Library Association Inc. (ASLA) and Pledger Consulting Pty Ltd (LinksPlus/Weblinks) have pleasure in announcing the winner of the 2005 Australian Teacher Librarian of the Year Award – Jennie Bales, Summerdale Primary School, Tasmania. The Australian Teacher Librarian of the Year 2005 is awarded to a teacher librarian who demonstrates a high level of achievement in each of these three components of their role and thus provides a library and information service that improves student learning. "Summerdale Primary School is extremely fortunate to have had the dynamic, tireless, passionate Jennie Bales as our librarian!" Her knowledge abounds, her willingness to evolve and develop are exceptional and her desire to take others with her on the journey to further educational insight is exceptional. The school motto of ‘Learners for Life’ is epitomized in Jennie’s willingness to learn, to share ideas, and to facilitate learning (of students and teachers across the country). She continues to seek better and more efficient ways of sharing, communicating, and of understanding, both for herself and her clients. Jennie has demonstrated that she is a valued curriculum leader at Summerdale Primary School and collaboratively plans with teachers across the curriculum. She regularly monitors and assesses students’ work through negotiated rubrics. As information specialist she has established a stimulating and engaging Intranet resource, which successfully reflects the Tasmania Essential Learnings. Jennie epitomises the value of being a lifelong learner and she demonstrates an amazing willingness to learn, and to facilitate learning. She continues to seek better and more efficient ways of sharing her knowledge across the curriculum and is a passionate and dynamic teacher librarian. The task of selecting a winner was a difficult one as nominees demonstrated excellent performance on the selection criteria, received enthusiastic endorsement from their Principal and school based colleagues and provided strong evidence of engaging programs for students. We congratulate all state and territory nominees for this award.